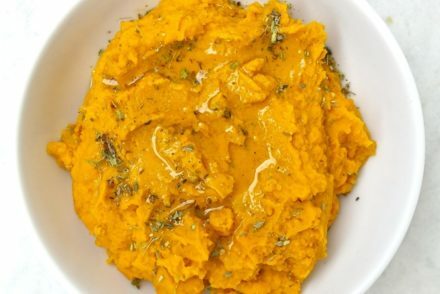 This is a traditional dish that is served during Greek lent and often consumed on the first day of lent known as Kathara Deftera (Clean Monday). We eat that along with the lagana (Greek flatbread), taramosalata and olives. The Greek Easter fast goes on for about 40 days and Greeks fasted for over 180 days. This fast does not allow animal products and is pretty much vegan with the exception of some seafood. Now you may wonder why certain creatures of the sea are allowed. Well, many believe because these creatures do not have blood. In fact, it has to do more that their blood is blue rather than red, due to the hemocyanin. 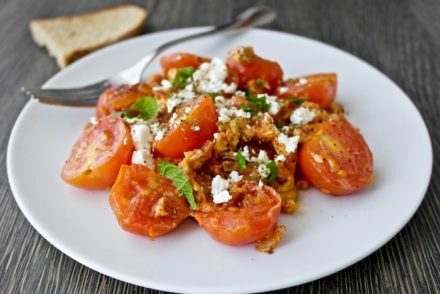 This meal though is great even if you are not fasting or not Greek, it combines lean protein with starch along with the tomato resulting in a complete and nutritious meal. 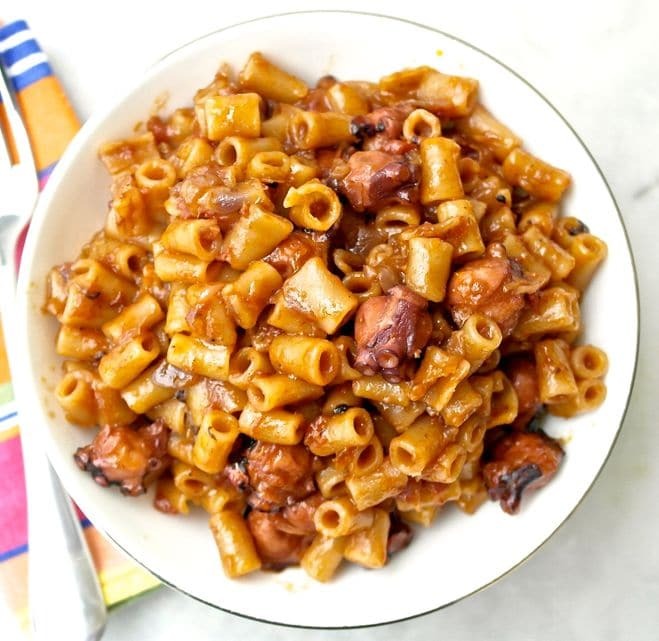 Now the traditional recipe requires about 2 pounds octopus per 1 pound of pasta, but as octopus shrinks the octopus is actually there just to taste and not as the main course. Pair it with a seasonal salad and you are set. This dish is tasty and although it may seem strange to some, here in Greece most kids love eating it. The directions are the same whether you use a fresh or frozen octopus, just make sure it is completely defrosted. Note: If you have a whole octopus you will need to remove the “tooth” as they call it. Click here for this one minute video that shows how to clean it (do not follow the other instructions about boiling it). Place the octopus in a large pot and heat, add a bit of water, the octopus itself will release water. Let it simmer for about 20 minutes. The octopus will shrink and curl. Remove octopus from pot. Save the octopus water. Cut into small pieces about ¾ of an inch. Set aside. In another pot sauté the onion until translucent, add the octopus pieces and continue sautéing for a few more minutes. Add the tomatoes, the tomato paste and about 1 1/2 cup water (it can be the octopus water depending on the strength of flavor you like or a mixture) and the wine. Cover and let it simmer for about 40 minutes. Add the pasta and let it cook for about 12 minutes until pasta is done. *You can also cook the pasta separately. 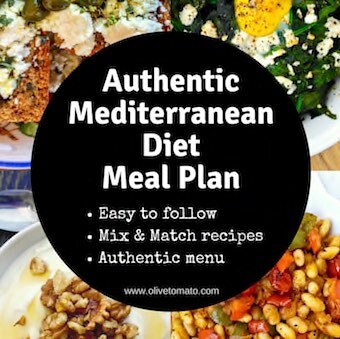 Greek dishes tend to cook pasta more and not al dente, so you may wish to cook the pasta al dente separately and then mix it with the sauce. It won’t have as much octopus flavor though, since in the original version the pasta cooks with the octopus. *In the traditional cookbooks they recommend that octopus should not be cooked with salt. I am not sure of the reason, but that is just fine with me as I usually add the salt afterwards in the recipes. 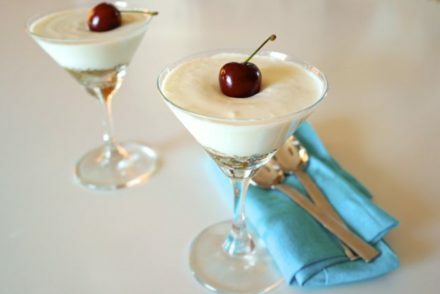 Again, Kudos for a wonderful recipe and the beautiful, beautiful picture! I enjoy you postings and recipes. It’s gotten me back on track with healthy eating. My question, how do you think this recipe would work with canned octopus? Hi Maria, Thanks! Now canned octopus could probably work, but it should be in plain brine. If it already has ingredients added to it it will change the flavor. Also you shouldn’t cook it , as it is already cooked just heat through with the pasta. Wow, this recipe looks amazing, can’t wait to try it and let you know how it turns out. Thanks for all the wonderful recipes Keep up the great work!!! Hi Elena, we’ve had gorgeous octopus dishes both home in New Zealand and on holiday in Greece and Italy. Sometimes when we’ve caught them ourselves we’ve tried cooking them and it’s just been so rubbery we say we will never do it again each time! We’ve tried simmering them for short and long times, vinegar salt wine etc in various combinations. Is there a secret to making them tender? Do they need to be rested out of the fridge or beaten or something before processing them? I haven’t caught my own octopus, but with fresh octopus they do beat it here in Greece before cooking. My tip for tenderness is after boiling the octopus to leave it in that hot water until the water cools down naturally. I’m doing Elena’s recipe as I write but not sure the octopus will be tender (feel rubbery at the moment…) I hope it will work out at the end 🙂 can’t wait to taste this dish. Thank you Elena! Thanks Jessica! the simmering will soften it.